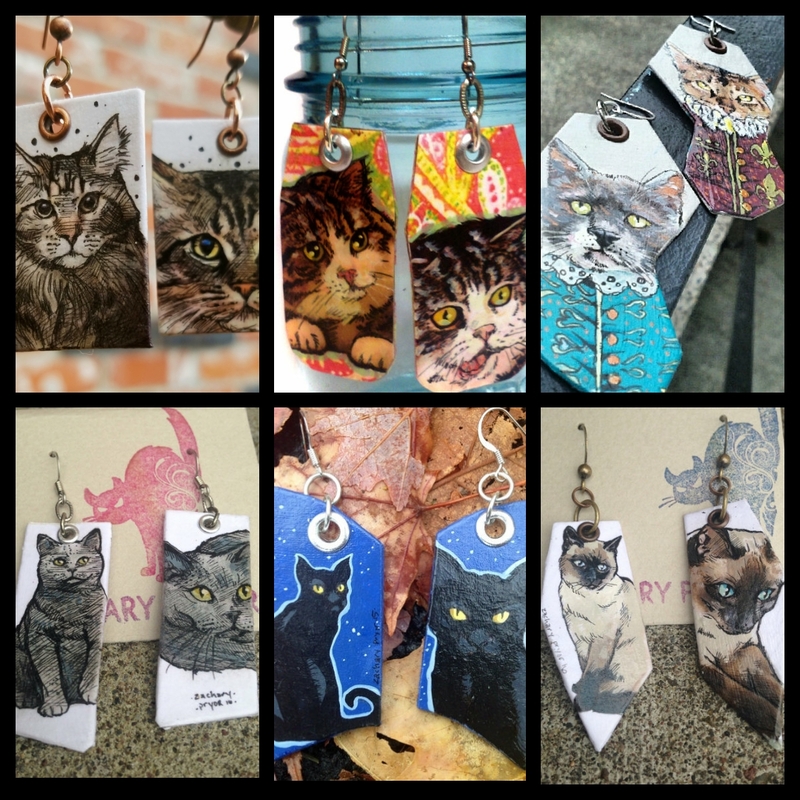 Custom Pet portraits and portrait earrings: dogs, cats and birds, Oh My! A big part of my success with being a working artist is my custom pet portrait work. Not only do I enjoy painting dogs, cats and birds, but while I am working on them I feel an instant bond or connection with the person the pieces are for. To be honest, this is one of the biggest motivators in doing what I do – that human connection. 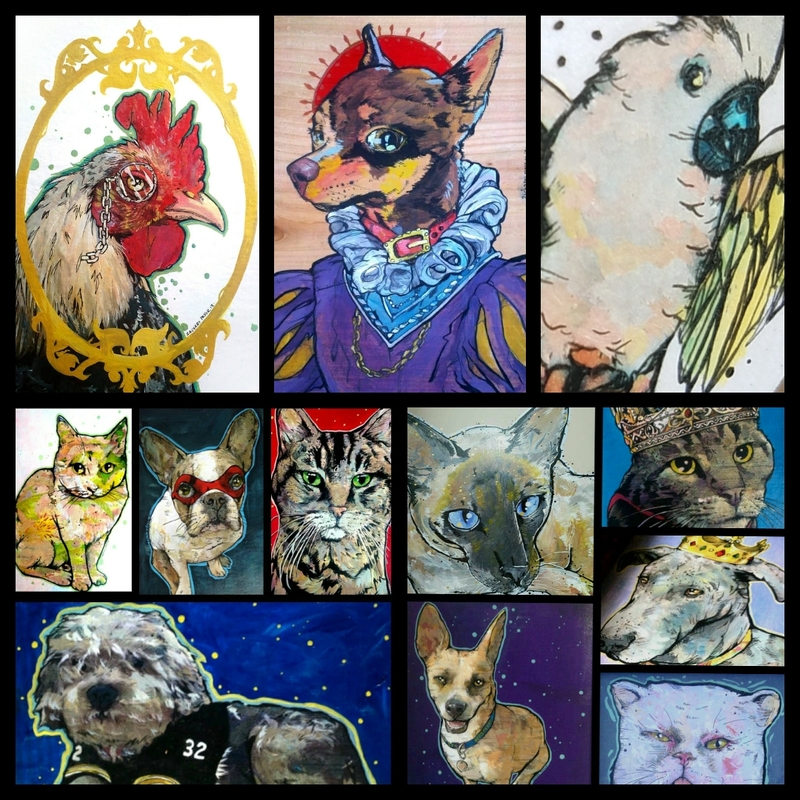 Check out the listing to get your own pet portrait here. They come with 3 size options and are reasonably priced! No pet is denied, I will paint any species, but dogs and cats are the most popular of course. 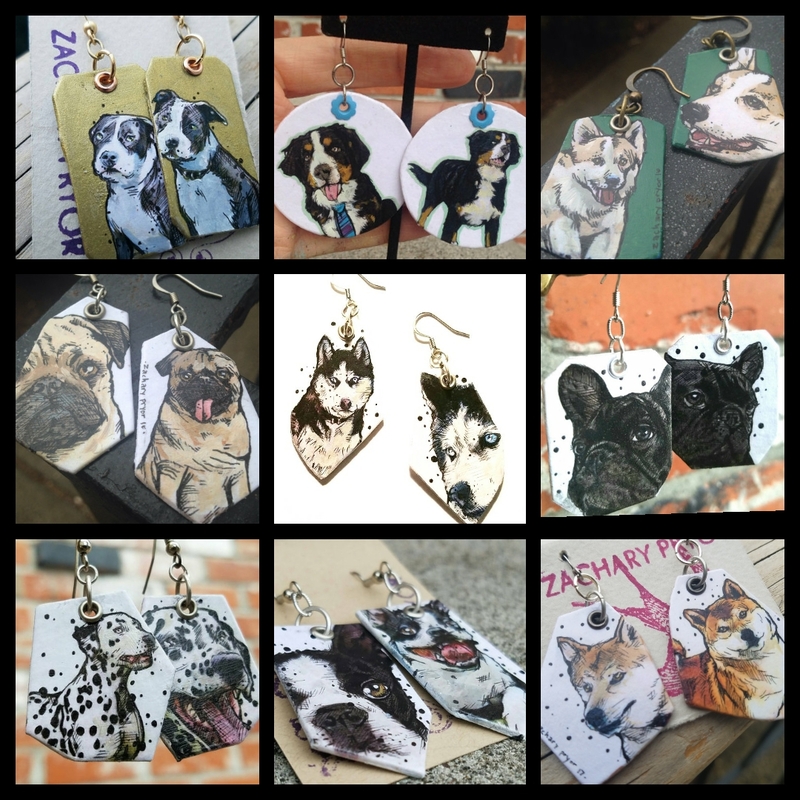 I also love to hand-paint dog and cat breeds on tiny charm earrings. I paint the earrings on dense board with a light protective coating and your choice of hardware finishes. (Copper, bronze, surgical steel or gold plated) The earrings retail for $38 and are quite lightweight. Generally the earrings measure 2 inches from top to bottom, but can be made to order and as such, can be larger or smaller. The cat earrings can be found here and the doggies are here. Feel free to reach out with any requests or questions!